Our 50th anniversary Chobfest weekend starts with a supporter’s lunch to welcome Cobham who play our 1st XV, whilst The Cannons play Richmond Normans and The Devils 3’s play Old Haileyburians 2. All matches kick off at 3pm. 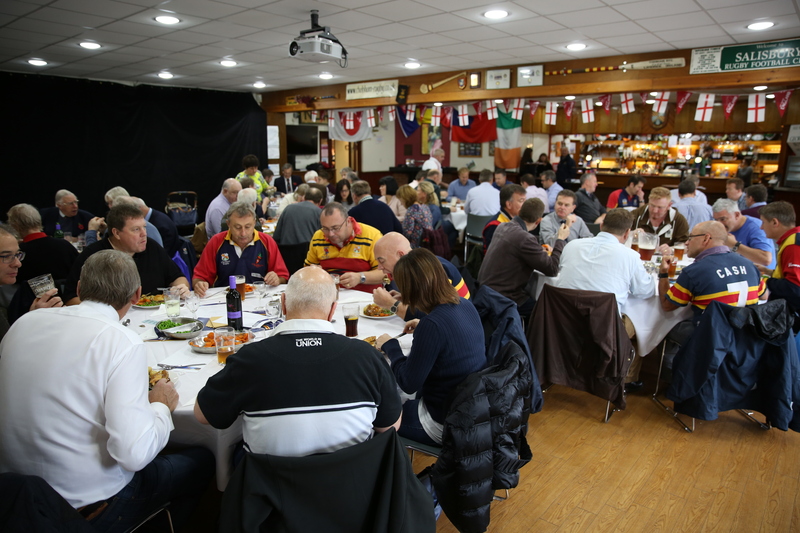 So please join me in an afternoon of rugby, great food and fine ale and wine by coming to the pre-match lunch. We will be serving a beef goulash, followed by dessert and fine cheese at a cost of £13 per head. Following on from the final whistles’ there will be live music, games and bouncy castles’ taking us into evening, where there will also be a BBQ (bring your own food) and an opportunity to campout. If you would like to book a tent pitch please contact Mark Harrop, our new minis social secretary, here or 07850 103 003. If you would like to book a table (10 max) or an individual seat, then please contact me, here or 07947 824 058. Unfortunately we have to limit our covers to 75 places so bookings will be taken on a first come first served basis. No further bookings will be taken after Wednesday 21st September.